We're glad you found our godwiki page. Please read our page and decide if you want to join our guild! Because why not! Let it be known we support all attempts to rob the banks of Godville. First and foremost, we are a Guild, secondly we are Gangsters, and that's about it, we have few members so I will continue with our self promotion and say that you should join here and help us gain an identity! God2000 and Vixn created the guild "The Gang of Gangsters" after the they met in a rp in the flame lounge. Vixn added God2000 as a friend and asked him to make a guild together. The rest is history. 1.Be at least average active in the guild council. 3.Be nice to each other. 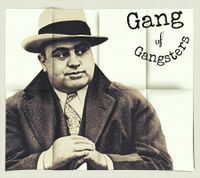 Join our guild by giving your hero this command: Join 'The Gang of Gangsters' guild. (write this exactly as a godvoice command.) Do this when your hero is doing another quest, and outside an town. Don't cancel or complete your heroes current quest first. If your hero(ine) accepts the quest, he/she will go on an quest for an several days. After your hero completes his/her quest, you will have to wait 4 days before you are able to use the guild council. If you don't want to join us DON'T do that. Do you have any questions or suggestions? Feel free to submit it at our guild council, on the forum thread or add God2000 as a friend and PM him.